Your doctor will suggest a treatment based on the underlying cause of your joint pain. Pain medication or anti-inflammatory medication may be prescribed, and in more severe cases surgery, immunosuppressants, or antibiotics may be called for. How can natural medicine treat joint pain? Natural medicine is a great complement for treating and preventing joint pain. 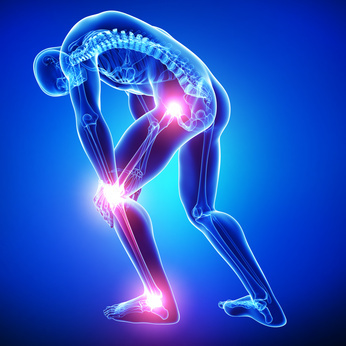 Osteopathy or chiropractic are excellent for treating all types of joint pain. Physiotherapy can strengthen your body to prevent pain, and acupuncture and TCM can relieve you of your pain, as can massage therapy. Contact us for a FREE consultation on how natural therapy can help you improve your health and manage your symptoms of joint pain.